My Name is Aqib Ghaffar. I did BS(Hons) Economics. Now I am working as Assistant Manager in Gul Ahmed Textile Mills Limited. I have good knowledge of MS office. I have Diploma in Windows Application. 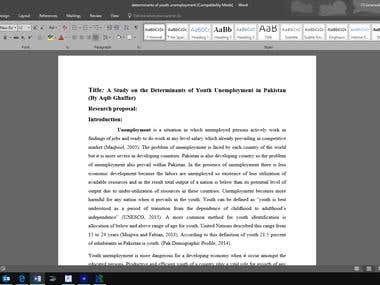 During my study I completed research project I-e Determinants of youth unemployment and other one is Cost Benefit analysis of a project. I am very passionate to do work here. I can provide you best work which you required. Get awarded in college examination 1st position in college.